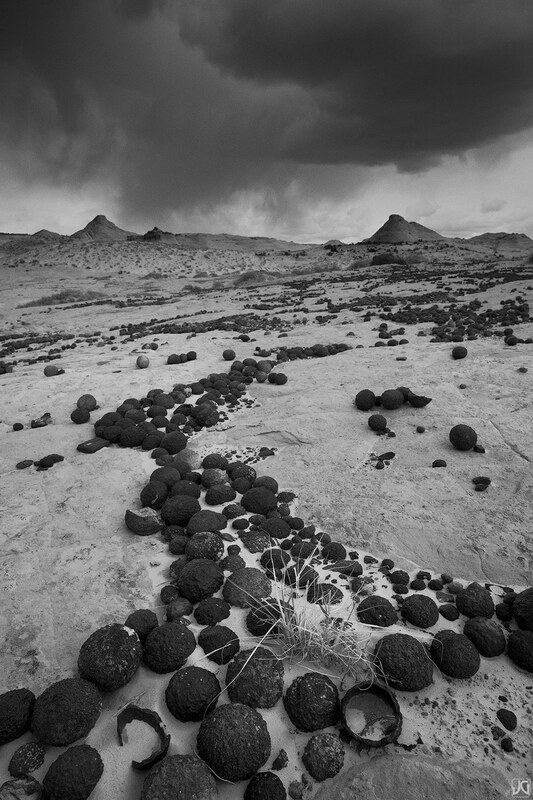 Also known as Shaman Stones or Thunderballs, Moqui Marbles are found throughout large areas of the Navajo Sandstone Formation in the south-central region of Utah. These unique features are compacted sandstone encased in a shell of hematite, which is a basically an iron ore. Their name comes from the Hopi word "moqui" which means "dearly departed ones." Ancient Hopi legend says that the spirits of their ancestors come down at night and play with the marbles, letting their loved ones know they are happy. Some believe that the marbles have great healing and meditation powers. Photo © copyright by Jimmy Gekas.